When developing sites you sometimes need aggregation enabled, especially if testing in Internet Explorer where you have a 31 file limit. This makes development extra hard. I created the following module so that you can enable aggregation and then disable it on a per module and theme basis. On top of that you can also disable individual files in the /misc directory as well as in the sites/all/libraries directory. Use of this module is very simple. 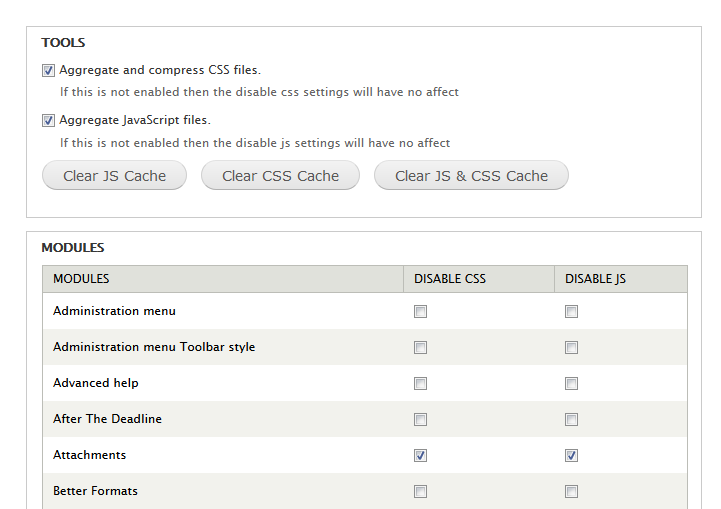 Enable it then head over to /admin/config/development/killagg and select what you want to disable aggregation on. This module is intended for use during development only and should not be considered for use on production sites.